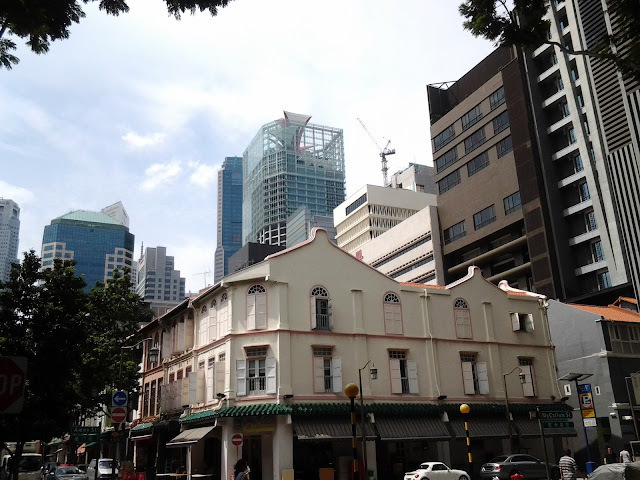 A row of shophouses at junction of Amoy Street and McCallum Street. Gable ends (the little "knob" or mound you see on the apex of the gable) always hold some interest for me. 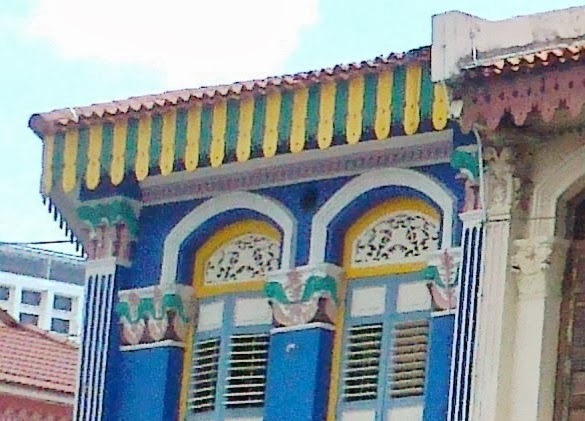 This blog, Anecdotes of old Chinese architecture in Nanayang, https://nanyangtemple.wordpress.com/category/2-visiting-guide/ gives a very good introduction to the different gable ends. 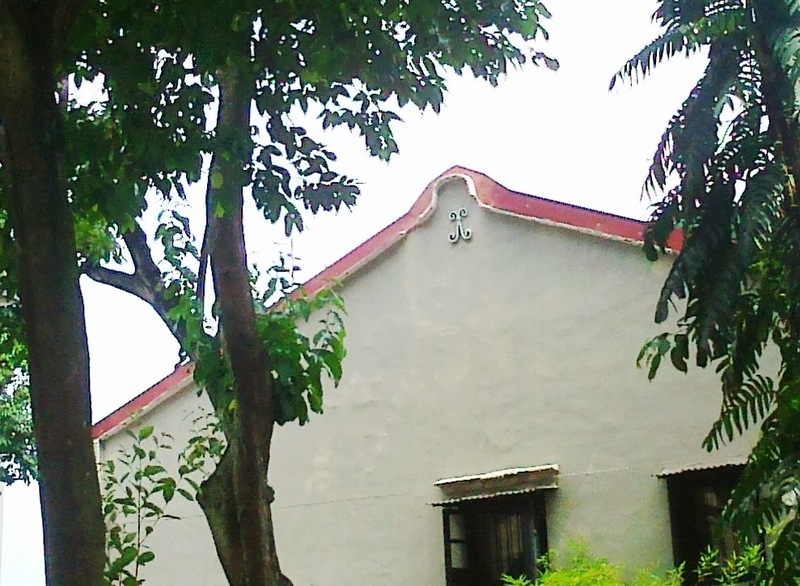 Based on this guide, the one you see on the apex of the gable in this picture, would be symbolical of the wood element in Chnese fengshui, believed to provide some form of stability to the building and its occupants. 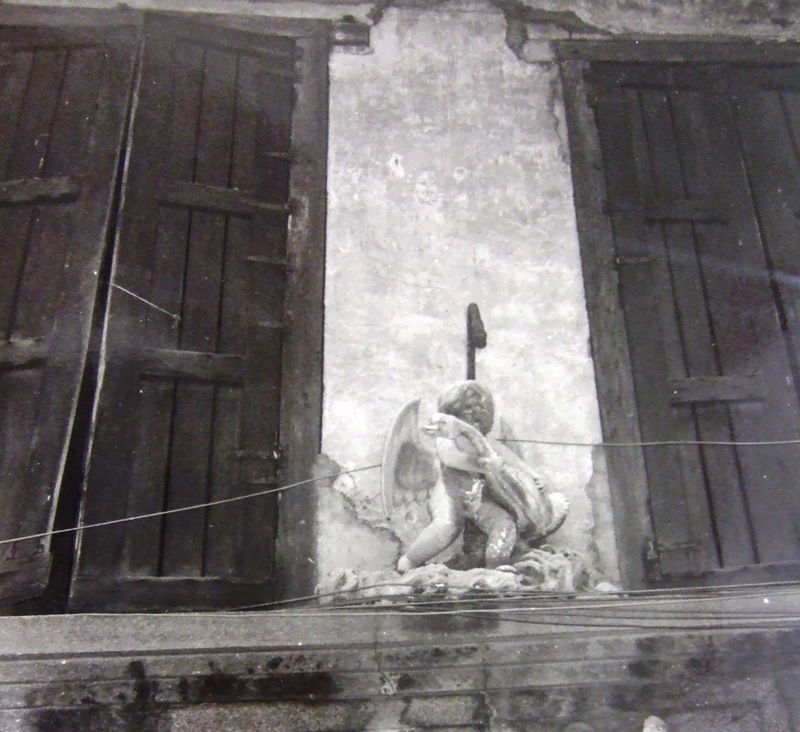 Once known for its opium dens, Amoy Street also had one of Singapore's earliest free schools. 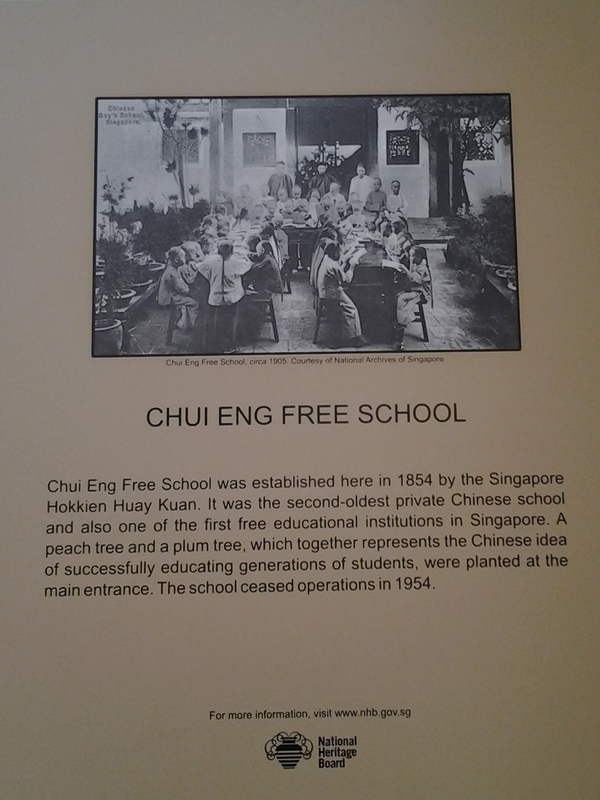 The Chui Eng School was founded by a Straits Chinese, Tan Kim Seng in 1854. 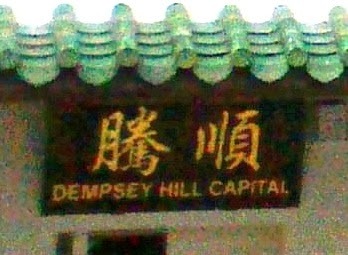 It closed in 1954 but was conserved. 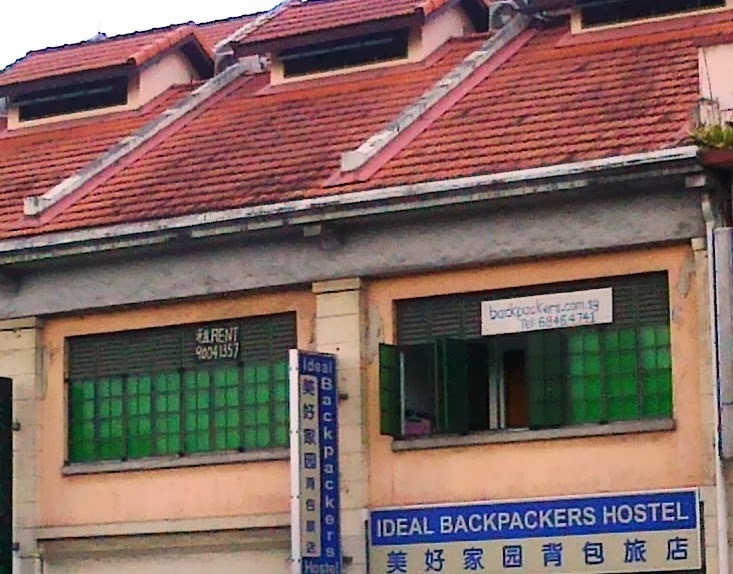 Today, it is occupied by the Ju Chun Yuan Restaurant. Founded in 1865, this is the restaurant which created the famous Chinese dish, Buddha Jumps Over the Wall in 1876.